The Fed and Apple kept the stock market from pulling back too sharply this week. The Dow Jones industrial average, the S&P 500, and the Nasdaq closed nearly flat, despite more signs of a global economic slowdown and new issues related to Europe's debt crisis. The tendency of central banks to do whatever it takes to help the economy is very much in the minds of investors, after the Federal Reserve announced it would buy more mortgage-backed securities to stimulate the economy. "You can't fight the Fed," said Paul Powers, head of equity trading at Raymond James. "Central banks will keep trying to prop up the market, so investors don't want to sell out." 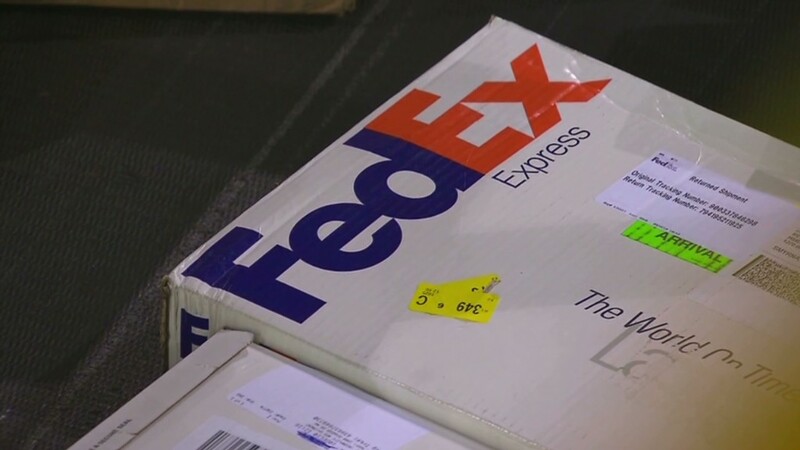 Even as steel producer Nucor (NUE) and shipping giant FedEx (FDX) cut forecasts Tuesday morning, investors ignored all that and looked more towards the millions of consumers clamoring to buy a new iPhone this Friday. Apple (AAPL), an outsized component of the S&P 500, has continually reached new all-time highs in the past two weeks. It crossed the $700 mark Tuesday morning and closed above that level. But uncertainty in Europe abounds, particularly over whether Spain will request a bailout, or even qualify for one. Spain's troubles dampened any enthusiasm investors had over the ECB's recent announcement that it would be willing to buy sovereign debt. Europe's economy may become increasingly fragmented though. Germans appear to be more optimistic than expected in the face of the continent's issues, according to a report on German investor confidence released Tuesday. Nonetheless, Carsten Brzeski, an economist with ING Bank in London, wrote in a note to clients that the Germany economy may finally be approaching a soft landing. Oil prices fell for the second day in a row, after plunging more than $3 in less than a minute during Monday's trading session. The U.S. Commodities Futures Trading Commission is reportedly investigating the cause, which left many traders scratching their heads. U.S. crude prices slid another $1.33, or 1.4%, to close at $95.29 a barrel. The sell-off dragged down major oil stocks, including Marathon Petroleum (MPC) and WPX Energy (WPX), which declined more than 3%. The euro lost ground against the U.S. dollar, but, at $1.30, still remains at a five-month high. European stocks closed down between 0.4% and 1.2%. Another signal on the state of the economy was the Commerce Department's second-quarter data on the nation's current trade deficit, which fell from $133 billion to $117 billion. That was followed by a Treasury Department report that showed foreign investors bought $73.7 billion of U.S. securities in July. A monthly report on builder confidence from the National Association of Home Builders came in higher than expected at 40, up from 37 last month. Companies: Yahoo's (YHOO) stock moved up 1.5% after the company announced that it would return most of the proceeds from selling a portion of its stake in China's Alibaba to shareholders. Shares of search engine Google (GOOG) hit a 52-week high. Microsoft (MSFT) raised its dividend on the same day that it announced a new patent deal with troubled Blackberry maker Research In Motion (RIMM), sending its shares up 2%. British soccer club Manchester United (MANU) reported its first financial results as a public company Tuesday. The company reported a bigger-than-expected loss. Shares of Man U fell more than 2%. Shares of AMD (AMD) fell more than 7% after the chip maker revealed Monday that its chief financial officer was stepping down. Gold futures for December delivery closed 60 cents higher at $1,71.20 an ounce. 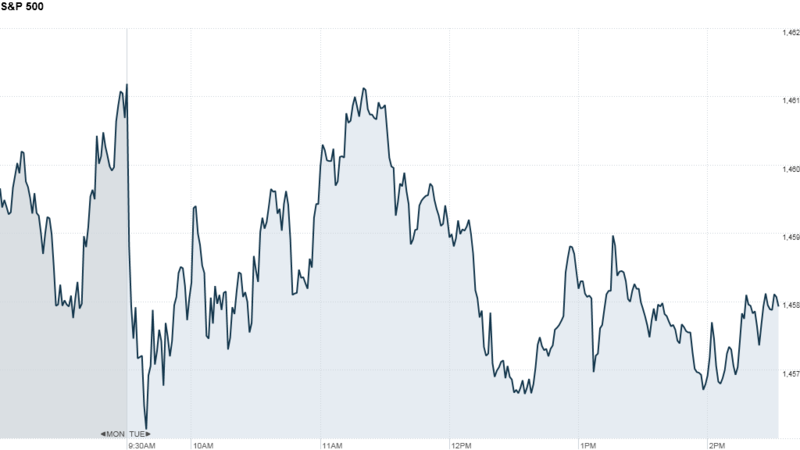 Bonds: The price on the benchmark 10-year U.S. Treasury rose, pushing the yield down to 1.81% from 1.84% late Monday.